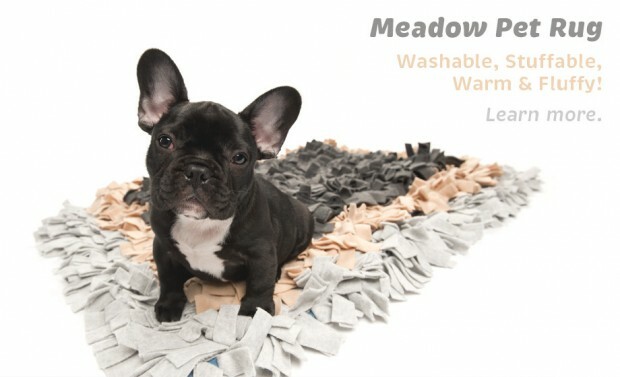 Our poooch-lovin’ pals at DogMilk found these paw-dorable Meadow Rugs from Wildebeest. 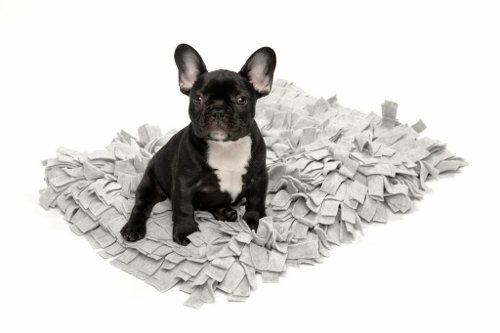 My mom thinks I would tear it to shreds but the Frenchie-model (Bandit) is still pretty darn adorable!! 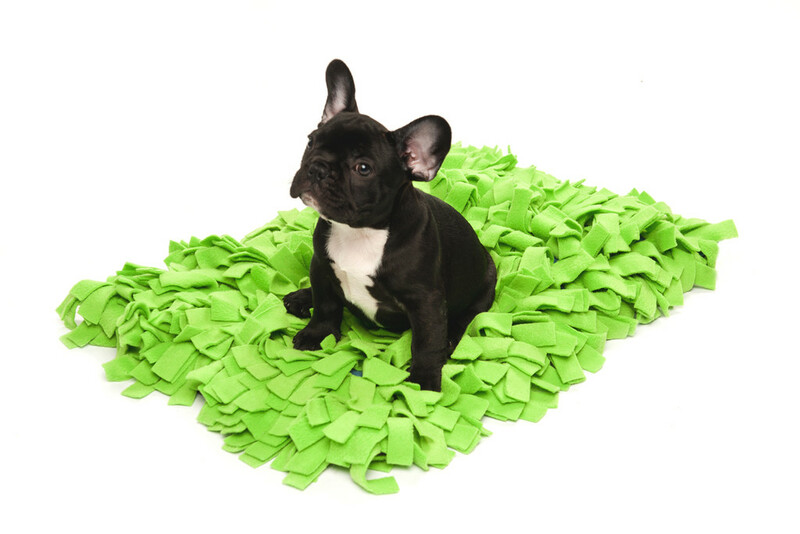 Meadow Rug is your pet’s new favorite hangout spot and a fun accent piece to any surrounding environment. It’s lightweight, durable, and fully machine washable. 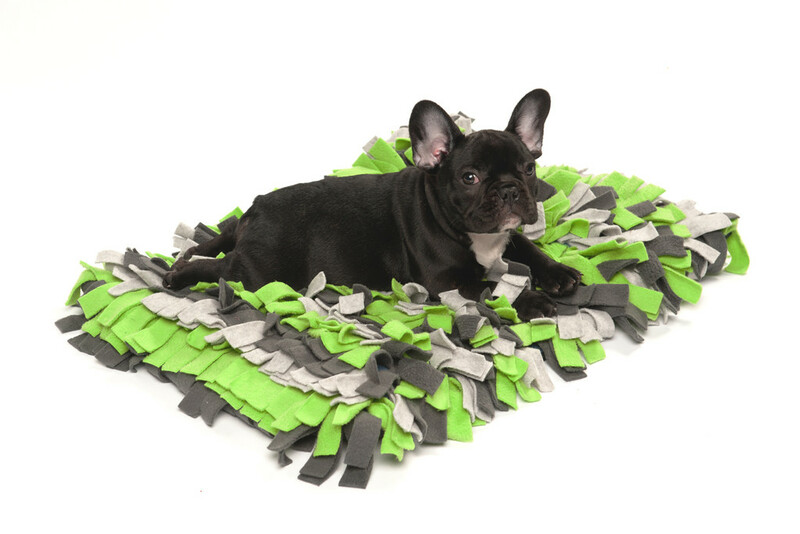 You & your pet both will enjoy this versatile and original design everyday, in the home or on the go! ● 100% anti-pill fleece – the fluffy texture & warmth that pets love. ● 100% cotton flannel – the soft liner that holds the fleece in place. ● 100% cotton canvas bottom – gives the rug structure & durability. ● Zipper closure – allows you to easily add your own cushion. We’ve posted about Wildebeest’s pet rugs before, but they just released a brand new “new-and-improved” version along with more color options and sizes! Check out Wildebeest for more!